WOMANCFO Conference Calls are created to move you forward in business planning and developing sound financial practices in your organization. During the call, you can get questions answered around systems, finances, and taxes. 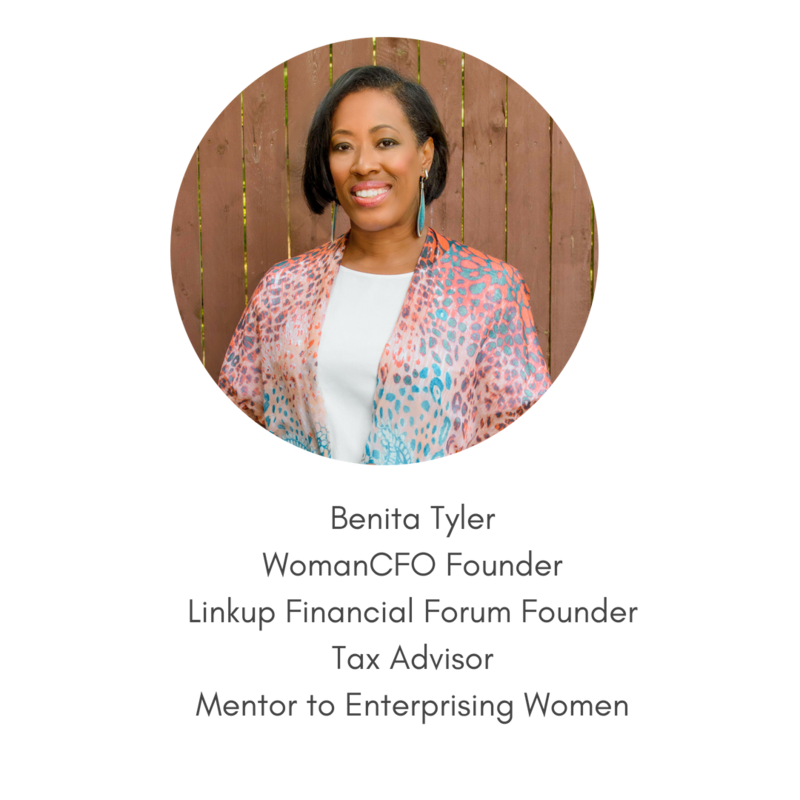 With over 19 years managing fast-paced accounting offices, Benita Tyler can help you optimize the financial side of your business. You can request a 30 or 60-minute conference call. Or, if you’d like to dive deeper, roll up your sleeves and crank out a 3-hour virtual work session. There’ll be a recorded replay for you to access later. Ready to get started? Schedule your call using one of the appointment links below. It is my honor to help you start, grow and expand your business! Need more time? No worries. You can also work with WomanCFO on retainer in 6, 12 and 24-hour blocks for Accounting Systems Checkups and Maintenance. WomanCFO Conference Calls © 2018 Benita Tyler. All Rights Reserved.